I am a lawyer in Melfort, Saskatchewan, Canada who enjoys reading, especially mysteries. Since 2000 I have been writing personal book reviews. This blog includes my reviews, information on and interviews with authors and descriptions of mystery bookstores I have visited. I strive to review all Saskatchewan mysteries. Other Canadian mysteries are listed under the Rest of Canada. As a lawyer I am always interested in legal mysteries. I have a separate page for legal mysteries. Occasionally my reviews of legal mysteries comment on the legal reality of the mystery. You can follow the progression of my favourite authors with up to 15 reviews. Each year I select my favourites in "Bill's Best of ----". As well as current reviews I am posting reviews from 2000 to 2011. Below my most recent couple of posts are the posts of Saskatchewan mysteries I have reviewed alphabetically by author. If you only want a sentence or two description of the book and my recommendation when deciding whether to read the book look at the bold portion of the review. If you would like to email me the link to my email is on the profile page. 27. – 716.) 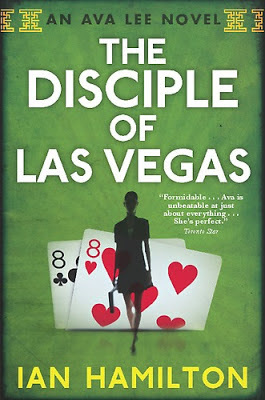 The Disciple of Las Vegas by Ian Hamilton – In her second adventure Toronto based accountant, Ava Lee, is called by her “Uncle” from Hong Kong. The wealthy Ordonez family from the Phillippines want to hire them to retrieve over $50,000,000. Ava meets Uncle at the Hong Kong Airport and they travel together to meet Chang Wang (the “Sledgehammer”) and Tommy Ordonez (the “Knife”). Ordonez is a Chinoy, a Chinese person using a Flipino name. As the nicknames suggest they are hard men angry over the $50 million which has been taken from them through a land fraud in Kelowna, British Columbia. 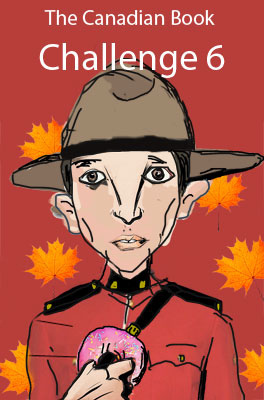 Tommy’s brother, Philip Chew, is nominally in charge of their Canadian operations though he has little real power. Any transaction over $5 million must be approved by Tommy. Philip has found a way around the limit by structuring a series of land purchases to have individual deals under $5 million. His development plan was to have a new golf course with an adjancent residential community. Documents show they have purchased 1,600 acres near Kelowna through Kelowna Valley Developments (KVD), a local company owned by Jim Cousins. The Canadian auditor, Deloitte, is uncomfortable with the manipulation of the investment limit and checks the records at the Kelowna Land Registry Office. They find no titles registered to KVD. The purchase and titles have been forged. As a lawyer the means of the fraud were possible but not quite credible. The land titles system in B.C. is electronically based and no one needs to travel to an office to examine titles. More improbably, there is no mention in the story of realtors and lawyers. Such a series of transactions would proceed through realtors and transfers would be handled by lawyers. Even if KVD were handling the transactions the corporate lawyers would have been dealing with KVD”s counsel not simply handing money over to KVD. Readers who are not lawyers will have no quibbles with the method of fraud. A private detective had been ineffective. Ava, drawing on the worldwide Chinese contacts of herself and Uncle starts tracing the money. She determines the money has gone through David (the “Disciple”) Douglas, a famous Las Vegas poker player. Ava applies all her powers of persuasion to the Disciple. During the process she again needs to use her skills in bak mei, a Chinese martial art. In her willingness to use violence Ava reminds me of another salvage expert, Travis McGee, though their fees are 30% rather than McGee’s 50% of funds recovered. The book explores the powerful addiction of gambling. Financial disaster can occur within only a few months for an addicted gambler. As I have seen while practicing law, no addiction leads faster to the destruction of the addicted. Drugs and alcohol will cause deterioration in your health but usually over years. Gambling can bring ruin before friends and family recognize there is a problem. Ava joins Jill Edmondon’s sleuth, Sasha Jackson, also Toronto based, as Canada’s tough girls. As with most Canadian sleuths they do not tote guns routinely but they can be as hard as needed for the case. It is a jet age thriller as Ava moves swiftly around the world after the money. She travels from Toronto to Hong Kong to Manila to Vancouver to Victoria to Las Vegas to London to Toronto. With every flight in business class and every stay at a 5 star hotel her expenses require multi-million dollar recoveries. Hamilton writes smoothly flowing narratives. It is an entertaining contemporary thriller. I acknowledge that I find the pursuit of $50,000,000 more interesting than chasing $50,000. I have now reached 11 books read of 13 in the 6th Canadian Book Challenge hosted by John Muford at the Book Mine Set blog. The lack of corporate lawyers and realtors is disappointing. I would not read the book now that I know this. It's the author's job to do the necessary research and get these details right, especially since they are so central to the plot. How hard would it have been for him to ask people in the know? Dr. Evangelicus: Thank you for the comment. I believe you could still enjoy the book as I enjoyed it despite the flaw. Bill, thank you for the review of Ian Hamilton's novel. Ava Lee's brief profile here is an indication of the rise of the globe-trotting modern-day sleuth, a contrast to detectives in early fiction where, for instance, remuneration was rarely mentioned. Deloitte seems to have found a unique way to market itself. Prashant: Thanks for the comment. With Ava's willingness to use unconventional means of collection, including violence, she is far from a Deloitte accountant. Thanks for your review, too. Even if parts of the novel seem implausible, those kinds of thrillers have an attraction of their own. Margot: Thanks for the comment. I am uneasy about the role gambling will play in the next generation. There are so many ads promoting gambling and casinos. A euphemism now used in Canada is to call it the gaming industry. I dislike the attempt at disguise.